Toast & Roast was a full service, toast writing company. Leslie provides highly personalized poetry that toasts and roasts the celebrant for any special occasion. 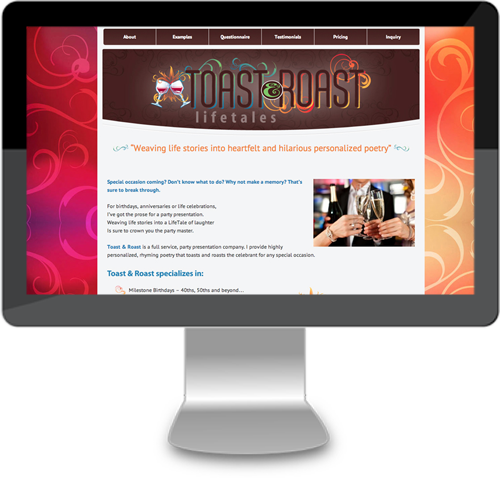 For Toast & Roast Lifetales, we created custom WordPress theme. She is now focusing on other things so the website is no longer active.